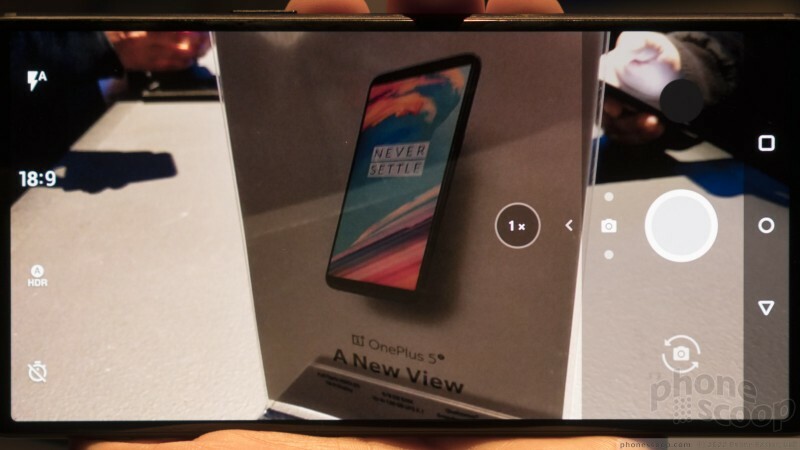 OnePlus knows a market trend when it sees one. 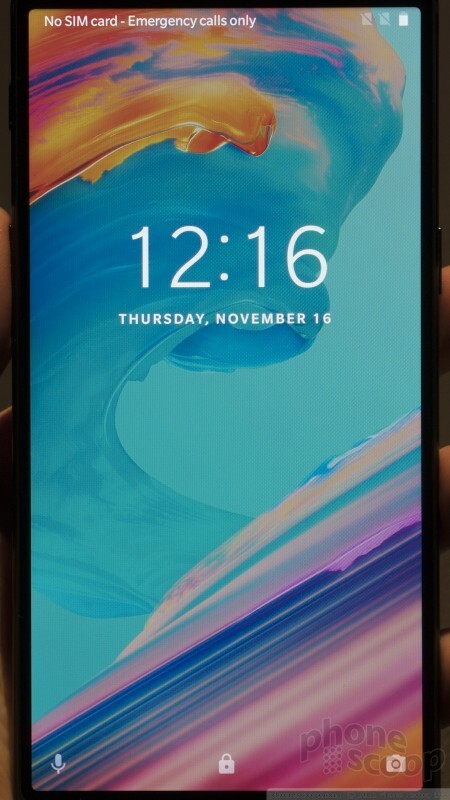 The OnePlus 5T, announced at an event today in Brooklyn, adopts the most popular feature of smartphones in 2017: the 2:1 (18:9) display. LG, Samsung, Apple, Huawei, and others are ditching the 16:9 aspect ratio in droves and adopting displays that are twice as tall as they are wide with minimal bezels. The idea is to create an experience that is all screen, or at least nearly all screen. 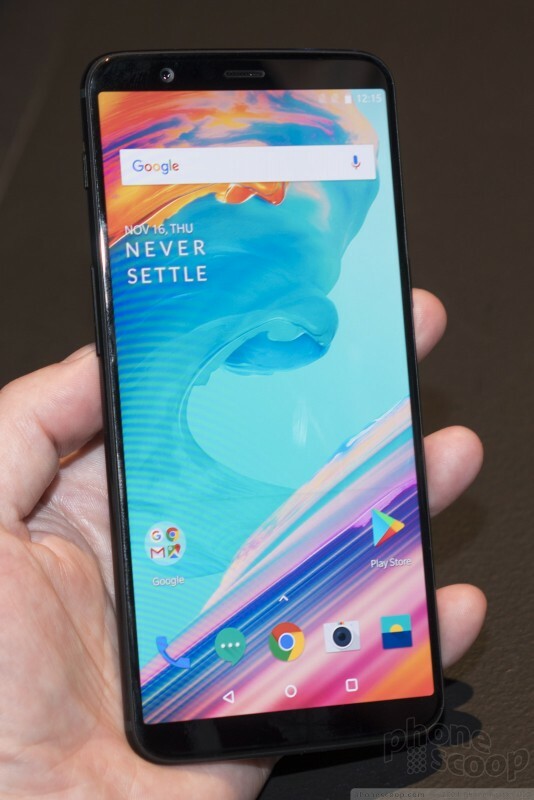 How well did OnePlus do? The 5T is based on the OnePlus 5 from earlier this year. 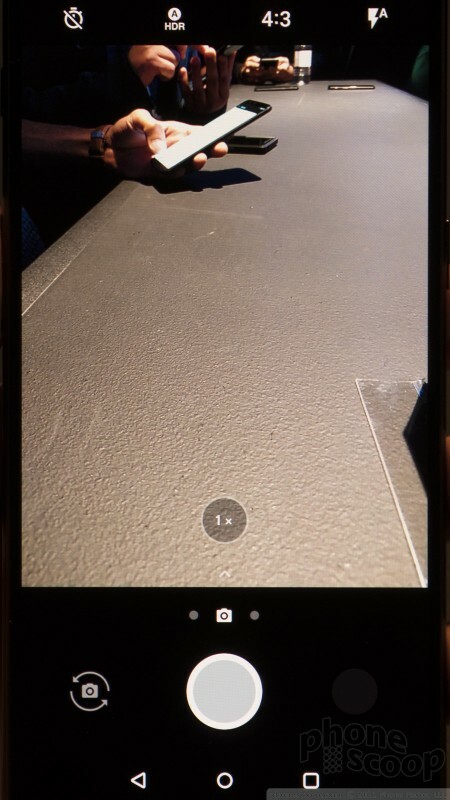 In fact, other than the revised aspect ratio of the screen and relocated fingerprint sensor, the device is nearly identical. 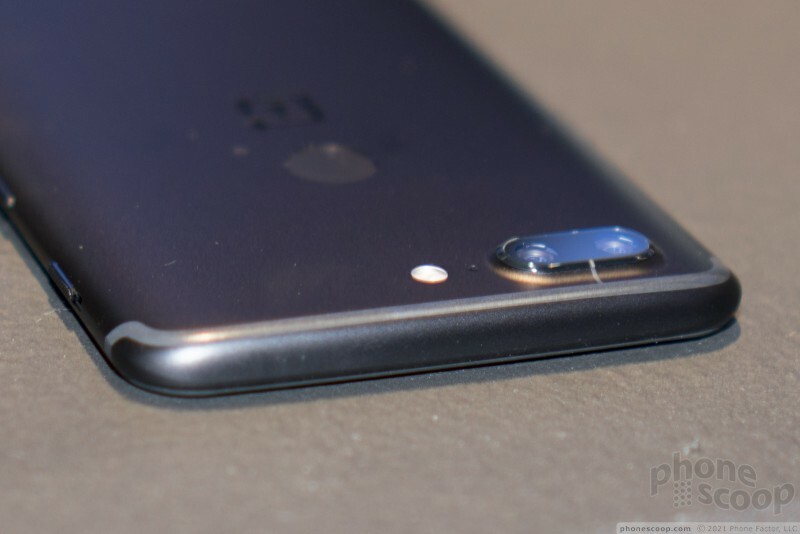 The 5T is a metal-and-glass slab that comes in black. It has gently rounded corners and a smooth shape. The front includes 2.5D curved glass and it sits in an aluminum chassis that wraps around the back and all four sides. The 5T borders on generic, yet the simple lines are still appealing. Antenna lines appear along the top and bottom edges, but they are hardly noticeable. I like the matte paint job. The phone is a little above average in terms of size for a modern handset. 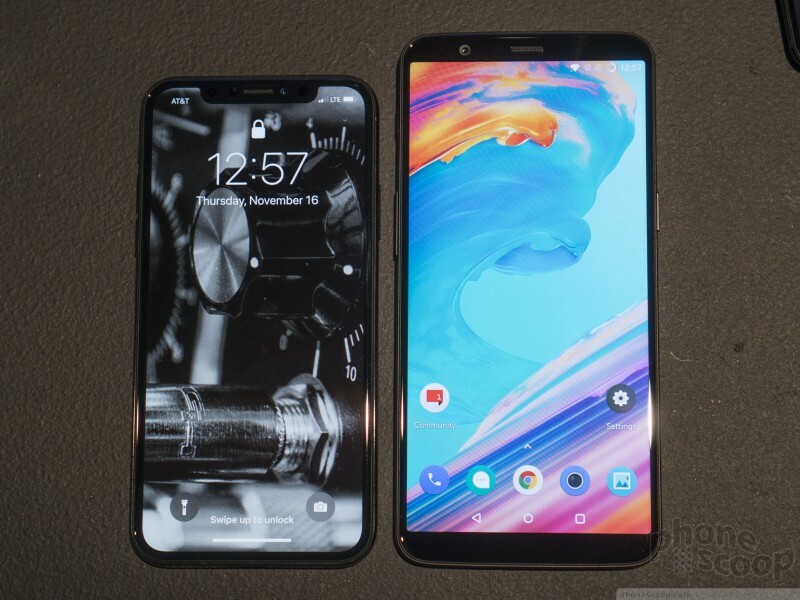 It's a bit bigger than the iPhone X, for example, though it's smaller than the Pixel 2 XL. 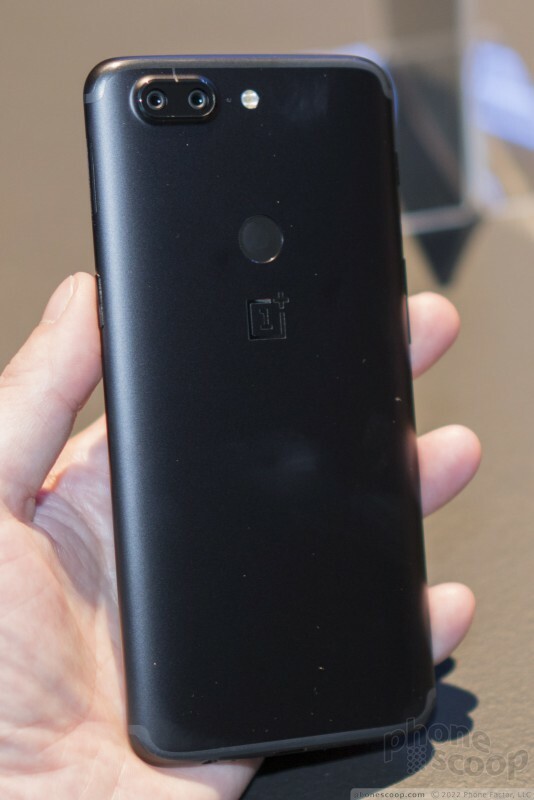 It's a few millimeters taller than the OnePlus 5. It's very slim, so it fits in pockets with ease. After using it for a short while my guess is that some people will struggle to use it one-handed. It may be a hair too big for some people, but anyone looking for an all-screen phone has to expect a device about this size. The weight is nice. What it comes to materials and build quality, the 5T competes well with devices from Huawei, ZTE, and LG. There's no question the curved Gorilla Glass 5 is excellent, and the aluminum chassis feels strong and sturdy. The pieces are fitted together perfectly. It conveys confidence. 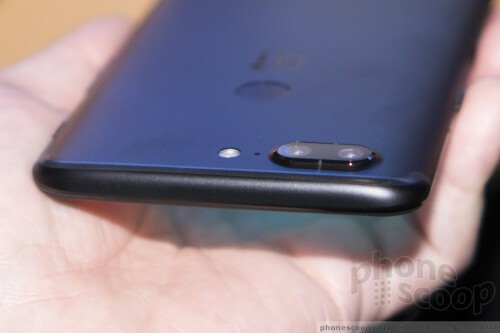 The 5T has a plain black face with no branding. The metal grille of the earpiece speaker is practically invisible. 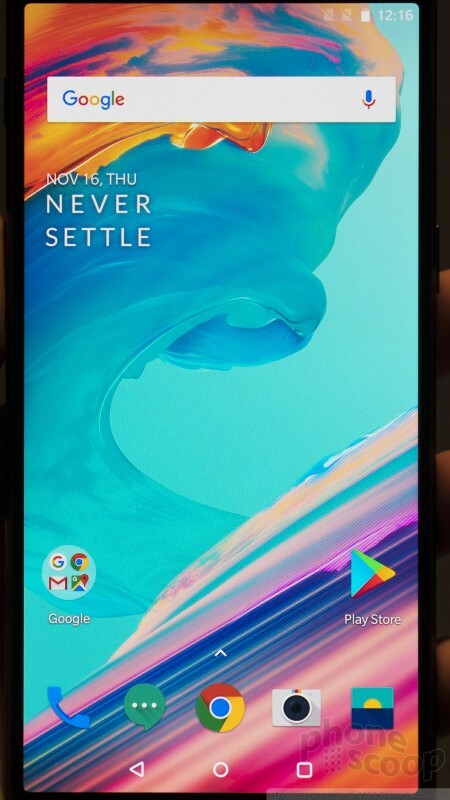 I'm really happy to see OnePlus reduce the bezels, as the framing around the screens on its older phones was a bit much. 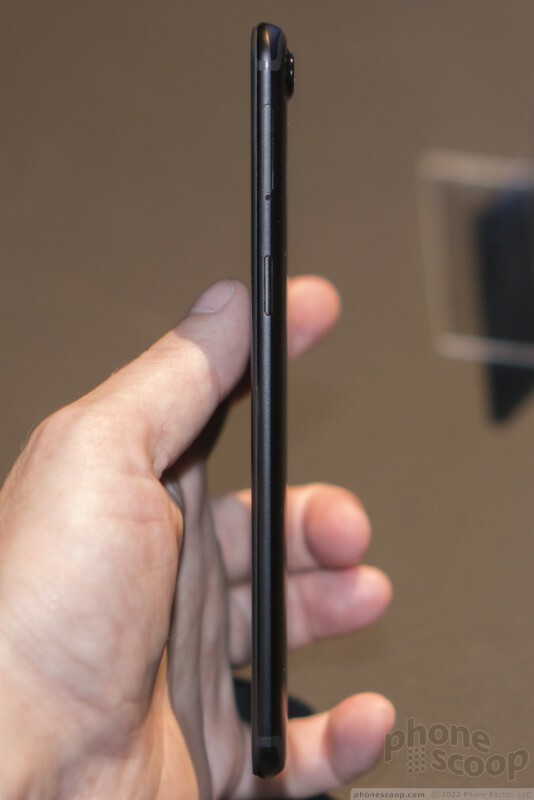 The forehead and chin above and below the screen are a nice size. 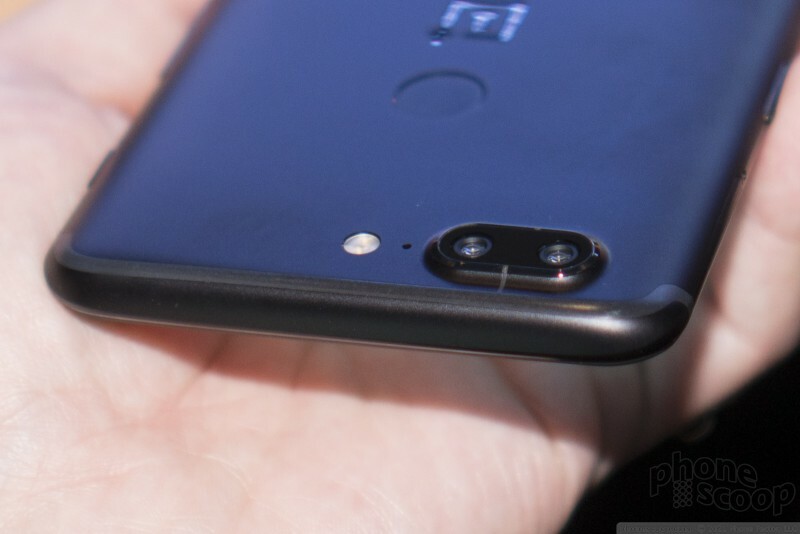 OnePlus moved the fingerprint reader from below the screen to the rear. 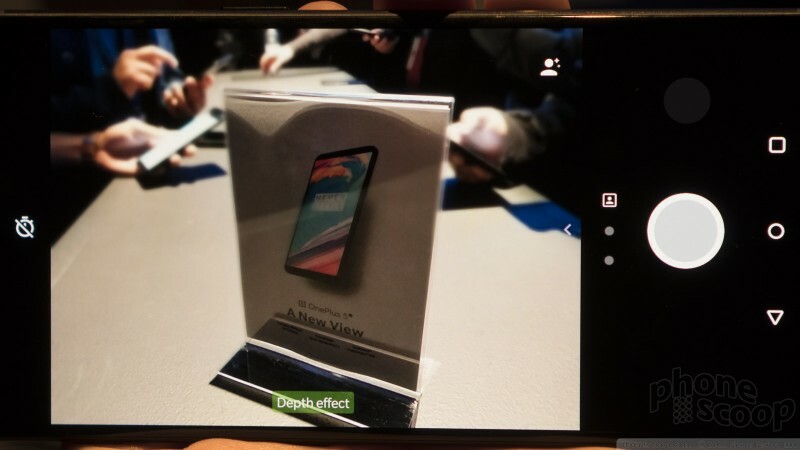 This allowed the company to adjust the screen ratio without increasing the size of the phone too much. There are no capacitive keys, as all controls have been moved to the display. I am pleased with the screen. The 6-inch display packs 2,160 by 1,080 pixels and relies on AMOLED technology. In the off lighting of the event space, the display came across and clean and bright. Blacks looked nice and inky, and colors popped brightly. 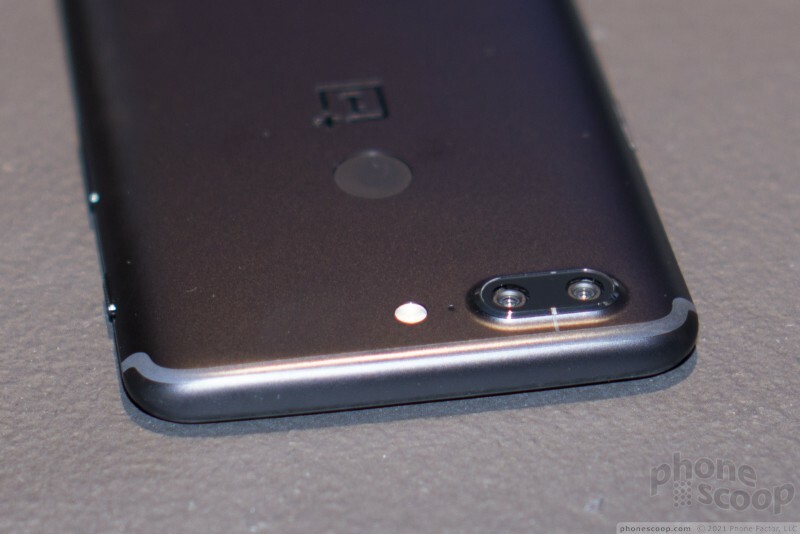 It's a very nice improvement over the 5.5-inch full HD screen on the OnePlus 5. The new screen is certainly makes up for the $20 price increase. 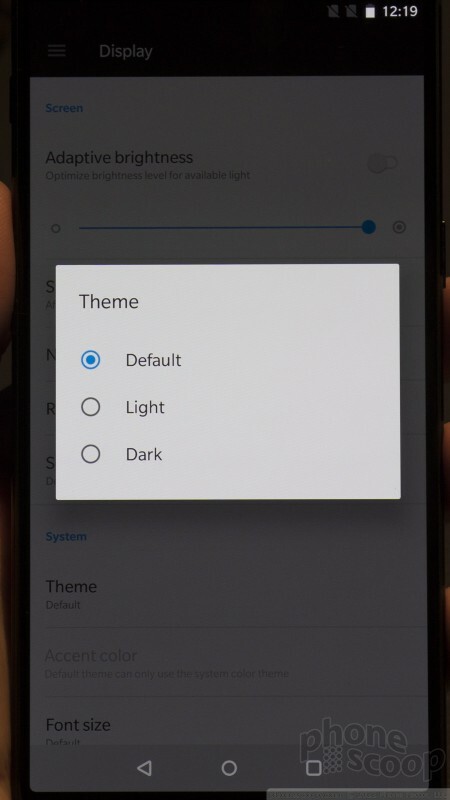 I've long appreciated the ringer switch on OnePlus handsets and I'm happy to report it is available on the 5T. The three-position switch is tucked into the left edge and it lets you control the phone's sound (on, vibrate, silent). This is a great feature. The switch has a ribbed texture that makes it easy to find, and the action is practically perfect. 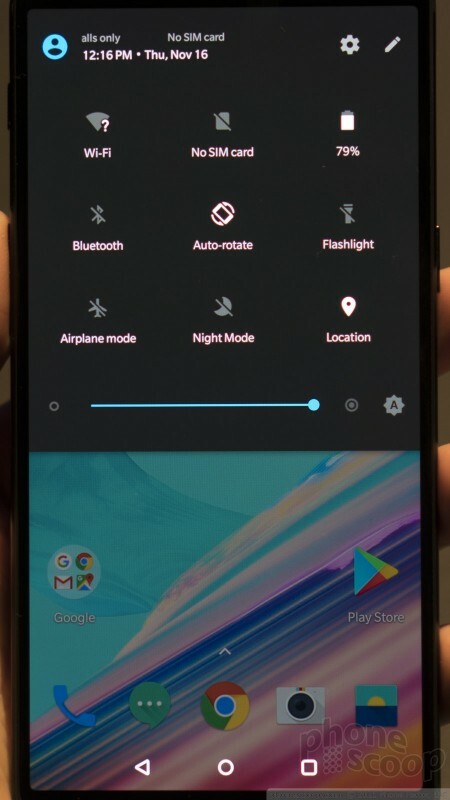 The volume toggle is just below the ringer switch. It has a decent size and profile, and travel and feedback are okay. I was hoping for more snap. You'll find the screen lock / power button on the right edge of the phone. It is a decent size and delivers pleasing feedback. The SIM card tray is tucked above the screen lock button on the right. The metal tray supports up to two SIM cards, but it doesn't accommodate memory cards. 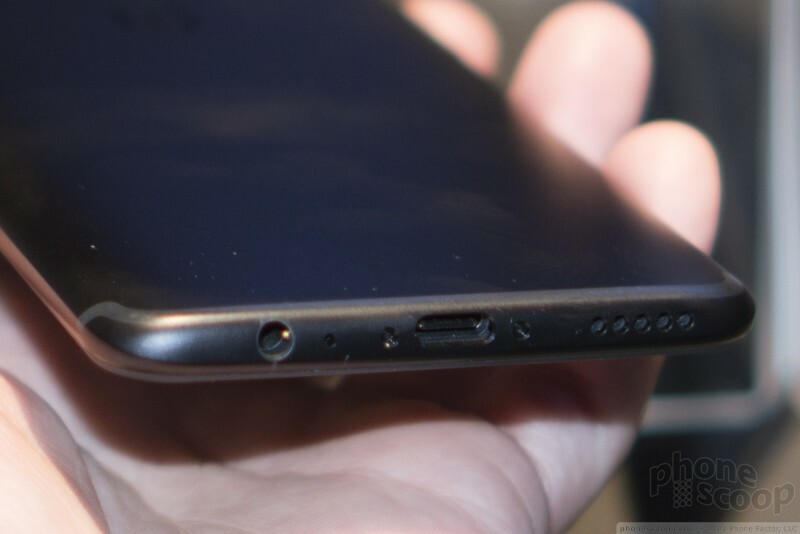 A USB-C port is positioned on the bottom edge. 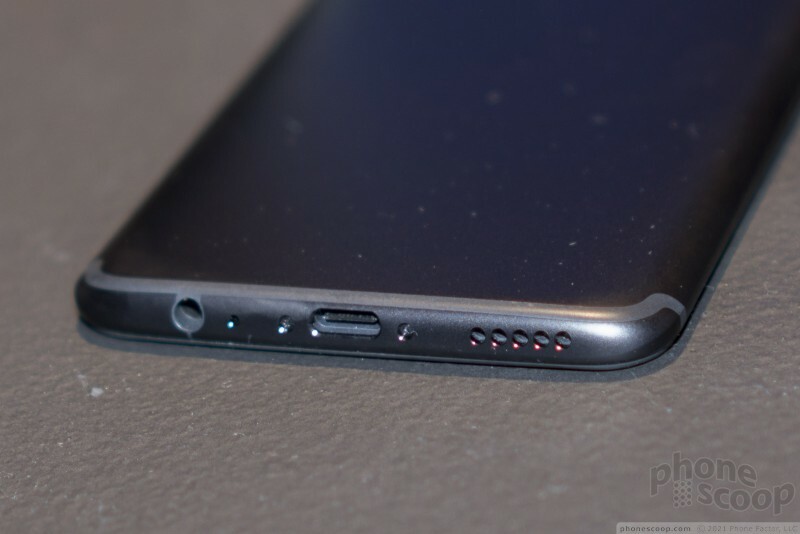 It is flanked by the 3.5mm headphone jack on the right and the speakerphone on the left. Surely some will be happy about the headphone jack, a feature that's becoming rare on high-end devices. The top edge of the phone is smooth. 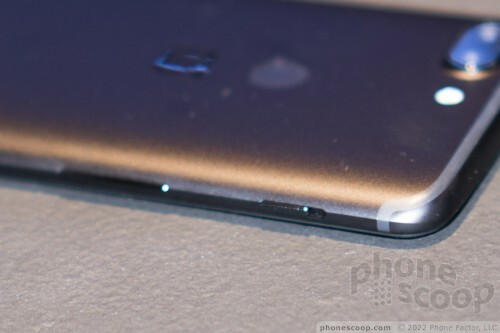 The all-metal rear panel is mostly flat, though it curves just as it reached the side edges of the phone. It's simple almost to a fault. The 1+ logo is stamped into the metal about two-thirds of the way up from the bottom. 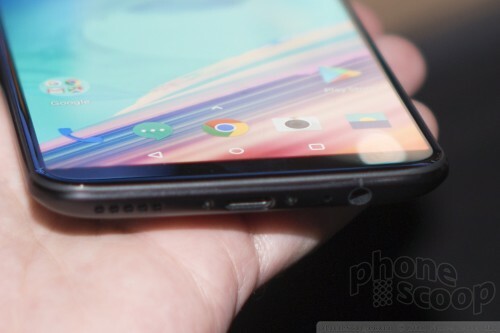 The fingerprint reader is just above the logo. It is indented just a tiny, tiny bit. I could be slightly easier to find. 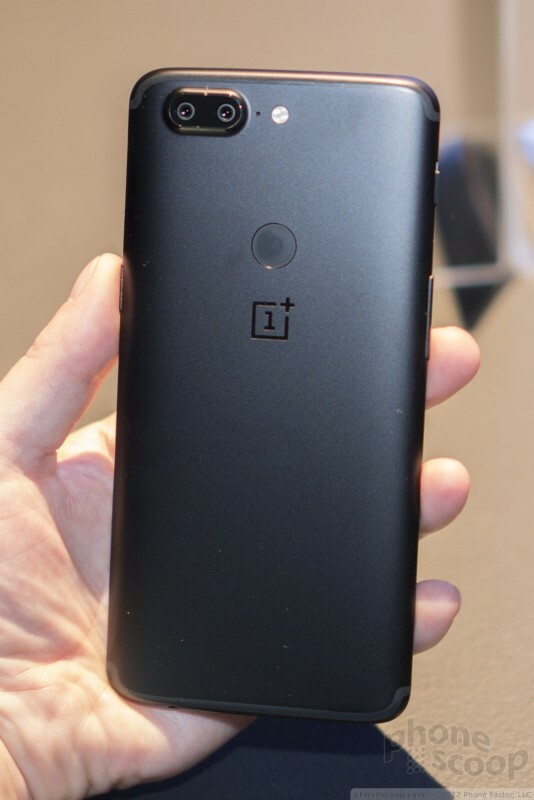 I'm glad OnePlus relocated this key, as I've come to prefer rear-mounted readers. 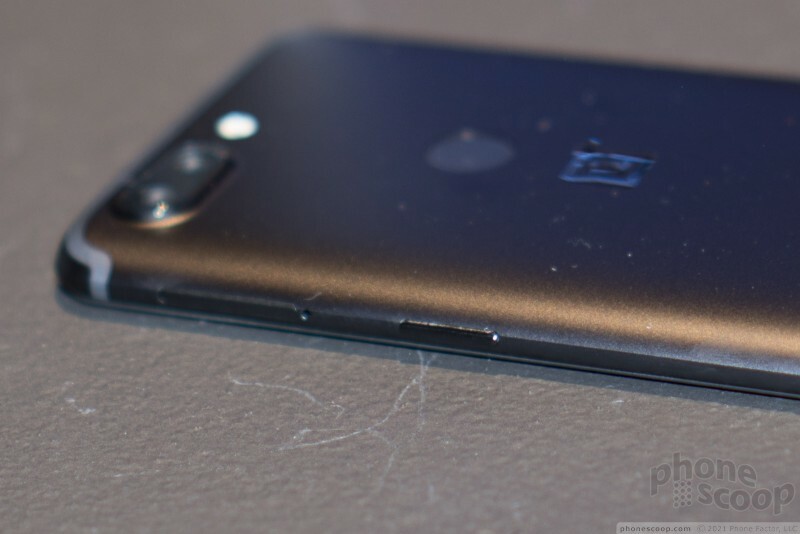 The dual camera array is in the upper-left corner. The camera module is raised a bit from the metal surface. A two-tone flash is located to the right of the camera module. 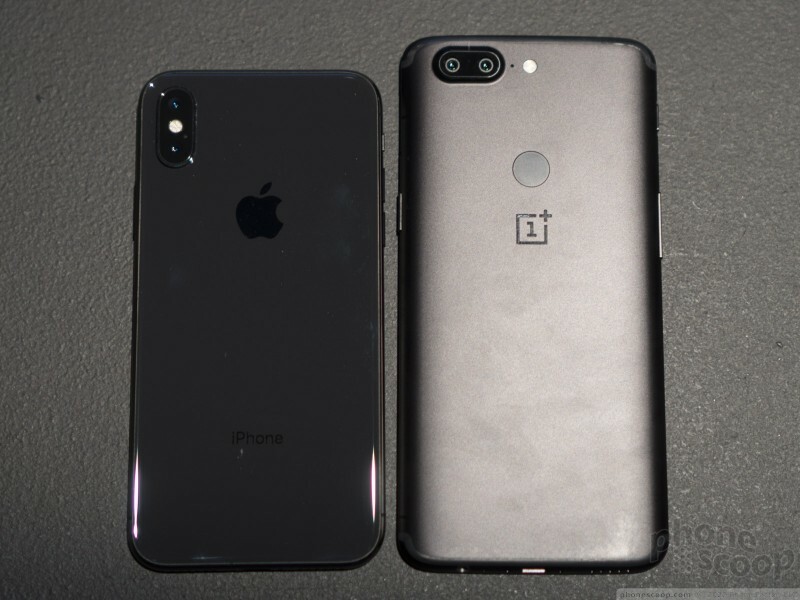 Thanks to the all-metal chassis, you cannot open up the OnePlus 5T. 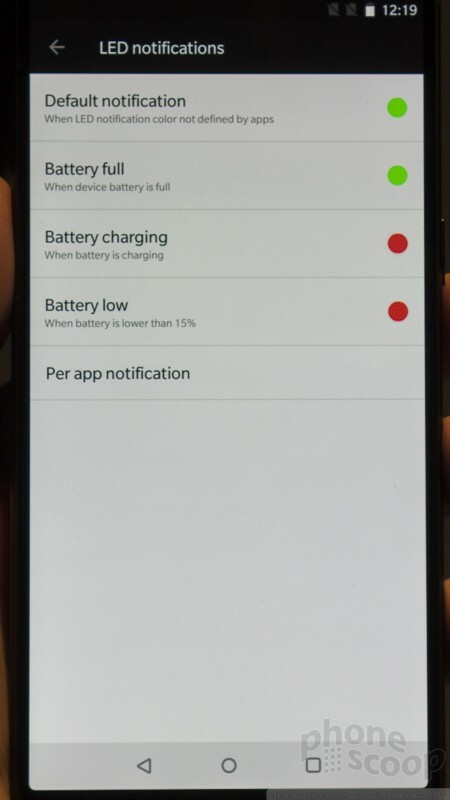 The battery is inaccessible, but this shouldn't surprise anyone at this point. This phone is not waterproof, which is a major bummer. Disappointingly, the phone runs Android 7 Nougat out the gate. 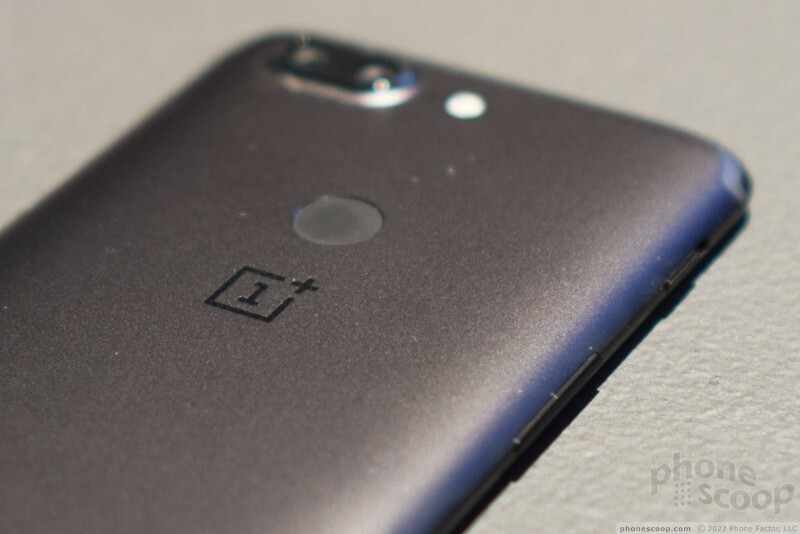 OnePlus said Android 8 Oreo will be available in beta starting in December, though the public release won't arrive until early 2018. 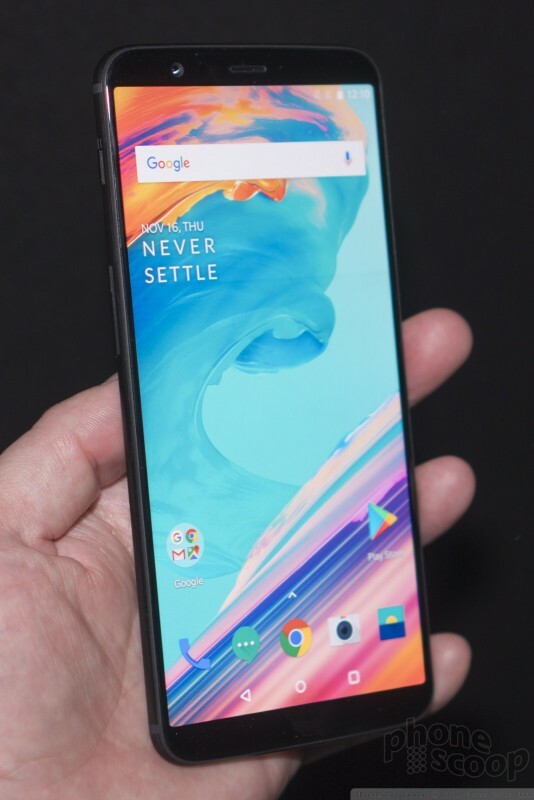 The big addition to OxygenOS in the 5T is facial recognition for unlocking the phone. It appeared to work quickly in the demos we saw on site. 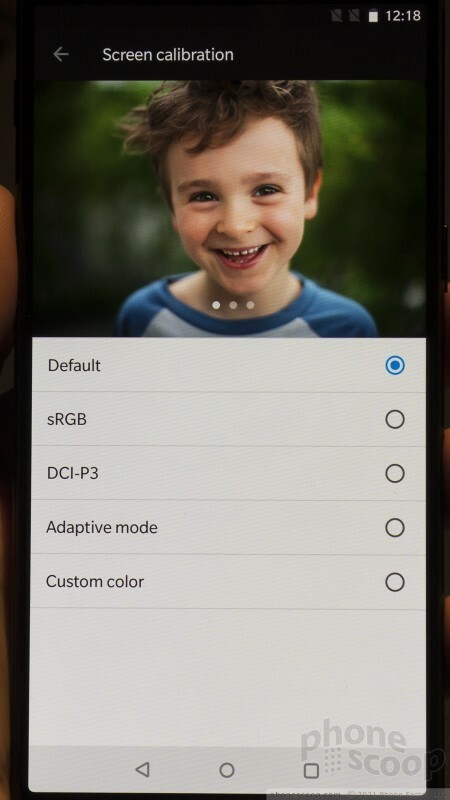 It's a nice addition to the fingerprint reader, providing an option. Otherwise, the UI looks and behaves much like it does on the OnePlus 5. 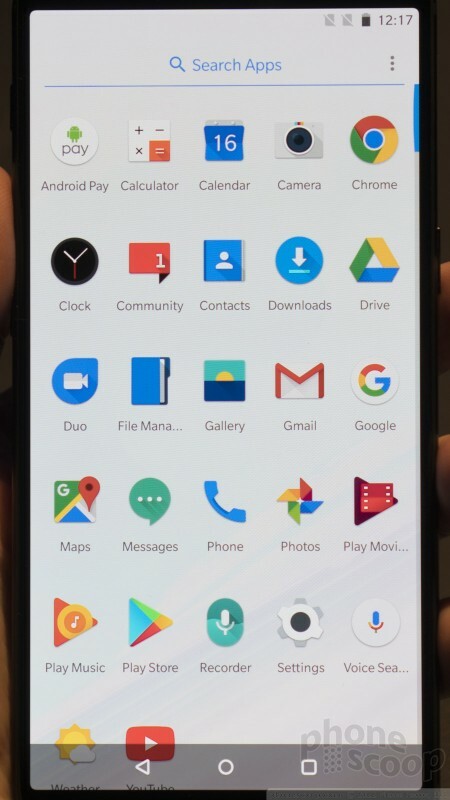 OnePlus keeps bloat to a minimum and many of the UI elements look and run like stock Android. The phones on hand ran smoothly. 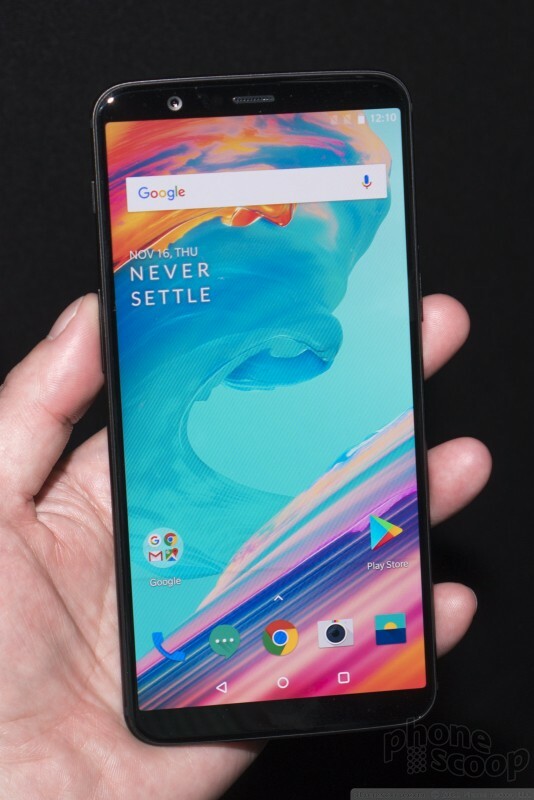 The OnePlus 5T is a fine piece of hardware that I think most anyone should be confident to carry around. It's a well-built slab that looks good and feels good. I'm pleased with the improved screen experience, which is a major step up from that of the 5. 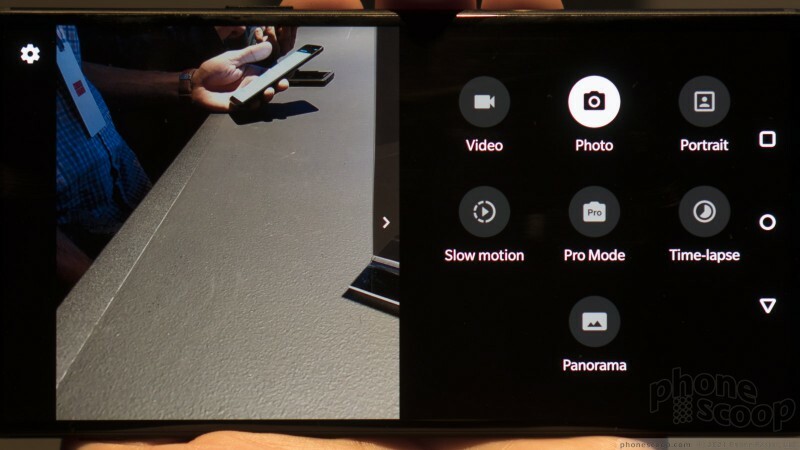 Only time will tell if the revamped camera system is decent. The device goes on sale November 21 for $499. That's a fair price, considering all the device offers. it will be sold unlocked with compatibility with AT&T and T-Mobile.